Earlier today, I discussed the admission of ‘Palestine’ to the UN Educational, Scientific and Cultural Organization (UNESCO). I argued that ‘Palestine’ is not actually eligible for membership, because it does not meet the criteria in the UNESCO Constitution. In particular, ‘Palestine’ is not a State. 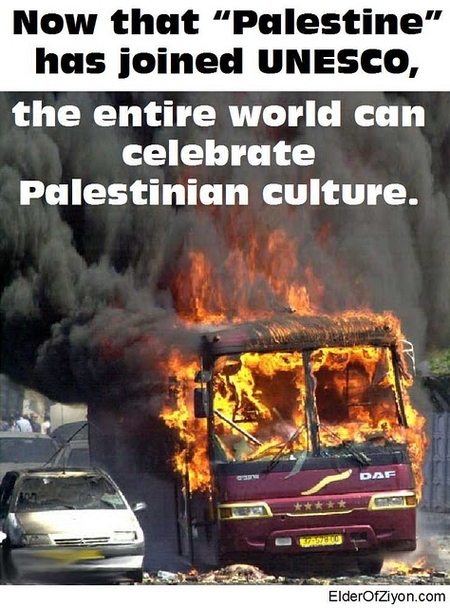 Of course, the Palestinian Authority claims that it is. Let’s see what it means to be a State and whether ‘Palestine’ is one. Here are the criteria, according to geographer Matt Rosenberg. I’ve interspersed my comments (italicized). Has space or territory which has internationally recognized boundaries (boundary disputes are OK). No. The lack of defined boundaries go beyond a ‘boundary dispute’. In fact, the PA’s application for admission to the UN that it presented to Ban Ki-Moon does not even specify boundaries, except insofar as it refers to the 1947 partition resolution, UNGA 181, which was never implemented. It could be argued that the PA’s continued publication of maps and other materials that show ‘Palestine’ as occupying all of the land between the Jordan and the Mediterranean indicate that its claims to defined boundaries are frivolous at best. Has people who live there on an ongoing basis. Has economic activity and an organized economy. A country regulates foreign and domestic trade and issues money. No. It does not regulate foreign trade or issue money. Its ‘economy’ is based on the international dole. It is a pre-failed state. Has the power of social engineering, such as education. Yes. The nature and quality of its ‘social engineering’ is suspect, however, since it is racist and focused on aggression against Israel and not toward building an independent and peaceful state. Has a transportation system for moving goods and people. 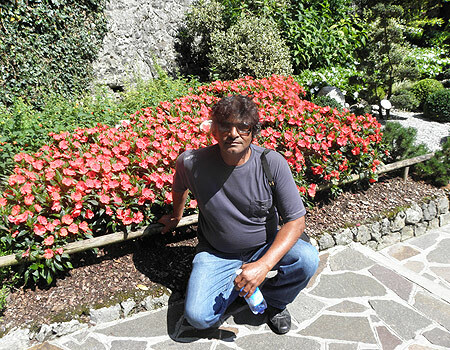 Has a government which provides public services and police power. Yes. It has far more police per capita than New York or Los Angeles, or indeed any UN member state. Has sovereignty. No other State should have power over the country’s territory. No. Hamas controls part of its territory where 40% of its population lives. Israel controls most of Judea and Samaria and eastern Jerusalem. Israel also controls the airspace and most ports of entry. In the parts of Judea and Samaria that it supposedly does control, the PA’s authority is totally dependent on the presence of the IDF and would vanish if it were not there. Has external recognition. A country has been “voted into the club” by other countries. Yes, quite a few countries have announced that they ‘recognize’ it. Without sovereignty or defined boundaries, it’s not clear how these statements can be more than rhetoric. The lack of sovereignty and defined boundaries is critical. Palestine is not a State by the normal criteria of geography. Of course, for political and propaganda reasons, night can be day. The contributions of ‘Palestine’ in these areas is well-known. It’s about time they were recognized. Take for example, the educational achievement of both the PLO and Hamas, who have educated an entire generation with such vicious hatred of Jews and Israelis that they are prepared to die in order to kill them (including babies). Palestinian advances in rocket science are also remarkable. The new Qassams have a range of up to 30 miles and can carry a payload of up to 100 pounds of explosive. Sure, they don’t compare to the Russian-designed Grad missiles that have been landing on Israeli towns lately, but they show what can be done with simple technology and available materials, if only you have enough desire to commit murder. Territories or groups of territories which are not responsible for the conduct of their international relations may be admitted as Associate Members by the General Conference by a two-thirds majority of Members present and voting, upon application made on behalf of such territory or group of territories by the Member or other authority having responsibility for their international relations. I think that applies to entities like Puerto Rico. ‘Palestine’ is none of these. But hey, who’s counting? This is ‘Palestine’! The United States says it is cutting off financial contributions to the United Nations cultural agency following its vote Monday to grant Palestinians full membership. The State Department said Washington will not make a $60-million November payment to UNESCO because of a longstanding U.S. law that prohibits American support for any U.N.-affiliated body that accepts Palestinian membership. Washington currently is UNESCO’s biggest funding source, supplying 22 percent of the agency’s budget. its reconciliation with the explicitly genocidal Hamas. The Arab nations should have accepted the U.N. partition plan in 1947, Palestinian Authority President Mahmoud Abbas said on Friday, about one month after he went to the U.N. to seek unilateral recognition of an independent Palestinian state. In an interview with Israel’s Channel 2, Abbas conceded that “it was our mistake” for not agreeing to U.N. General Assembly Resolution 181, which called for the establishment of a Jewish state alongside an Arab state in the British Mandate for Palestine. According to Abbas, Arabs as a whole are at fault for rejecting the plan and should have acted like the Jews and established a state. “But should they [the Israelis] punish us for this mistake for 64 years?” he said, speaking in English. Does this mean that he wishes there were a peaceful Palestinian state alongside Israel, as Resolution 181 envisioned? Does it mean that he recognizes the Jewish state, which was implied in resolution 181? Of course not. If a separate state were all he wanted, he could have had it in 2008, when then-PM Olmert offered him 93.6% of Judea/Samaria plus swaps, and half of Jerusalem for a capital. Although he now claims that the opportunity was lost when Olmert left office, there is good evidence that the PA walked away from it. And even today he explicitly refuses to recognize Israel as the state of the Jewish people. In 1947, the Palestinian Arabs believed that — with the help of the Arab nations — they would succeed in driving the Jews out of Palestine or killing them, and therefore they did not accept partition. But that isn’t what happened. Their strategy backfired in the worst possible way. 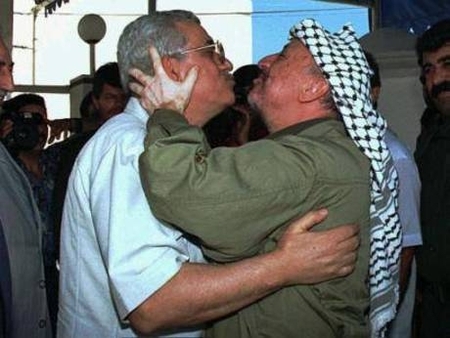 Abbas understands that despite Arab mythology that the Zionists planned to force them out in any case, the nakba, the flight of about 600,000 Arabs from the area that became Israel, was a result of the war that the Arabs started. Had there been no war, the Arab state that would have been created by the UN would have had almost no Jews (1%), and the smaller Jewish state would have been 55% Jewish and 45% Arab (Wikipedia). This would have been a much better starting point for an ultimate Arab takeover in almost every way than Olmert’s 2008 offer. No wonder he regrets that it was not accepted! What is essential to understanding Abbas is to grasp that his demand for a right of return and his refusal to accept that Israel is the nation-state of the Jewish people are essential, not rhetorical, demands. This is because the essence of the ‘Palestinian Cause’ is the reversal of the nakba and the return of all of the land to Arab control. Accepting resolution 181 in 1947 would have prevented the nakba and laid the groundwork for a more gradual end to Jewish rule. Olmert’s 2008 offer would not have served the Cause — and neither would the bilateral negotiations proposed by Netanyahu today, because they do not include right of return. This makes the somewhat puzzling last sentence of the quotation — “But should they punish us for this mistake for 64 years?” — understandable. The ‘punishment’ Abbas is talking about is the refusal of Israel to allow the refugees and their millions of descendents to ‘return’ to the Jewish state. In the minds of Palestinians, great exertions and sacrifices are justified to end the unnatural situation of their ‘exile’. Thus they do not accept any solution to the refugee problem other than ‘return’, they engage in terrorism (including suicide terrorism), and they refused what appear to be excellent offers of statehood from Clinton/Barak and Olmert. All this is completely understandable and unexceptional to every Palestinian. Although Hamas and the PLO disagree about who should be in charge and about the degree to which a Palestinian state will be governed by Islamic law, they are in complete agreement about the Cause. What is hard to understand, at least for me, is that despite the fact that the Palestinians have been talking about it for the aforesaid 64 years, Western leaders and diplomats still don’t get it! Moshe Ami, z'l, murdered by Islamic Jihad rocket in Ashkelon. They call him a "settler Zionist." In a departure from previous policy, the government has agreed to put forward a comprehensive proposal on borders within three months, according to a Quartet communiqué issued on Thursday. Prime Minister Binyamin Netanyahu has been reluctant to present a detailed map of where he envisions a future Palestinian state, wary of revealing a key negotiating card before knowing what he can expect in return from the Palestinians on issues such as refugees, Jerusalem and recognition of a Jewish state. As I write this, rockets are falling into Israeli cities from Gaza, at least one Israeli civilian, a 56-year old father of 4 named Moshe Ami (Elder of Ziyon notes that Islamic Jihad calls him a ‘settler Zionist’) has been murdered and tens injured. The IDF has killed at least 9 terrorists, in strikes on military targets. A million Israelis spent the night in shelters. You may (or may not, if you listen to the BBC) have noticed that Palestinian Arabs are presently committing acts of war against Israel. Please don’t tell me that it is a different faction from the one that I am negotiating with, because the hero’s welcome received by freed murderers of all factions shows that they all approve of murdering Jews. Armed factions will give up all weapons and military equipment over and above those needed for legitimate police duties. Then we’ll talk. Meanwhile, we’ll go after terrorists wherever they are, in Gaza, Judea/Samaria, Jerusalem, etc. Acts of war will be responded to appropriately. First, Israel should not be required to negotiate with those who do not accept her existence. If the Arabs aren’t capable of at least this, then any concession by Israel would be irrational, wouldn’t it? So why talk under those circumstances? Second, the Kafka-esque situation in which Arabs are allowed to kill Jews and at the same time make demands is unacceptable. Acts of aggression against another state are forbidden by the charter of the UN that the PLO has been asking for statehood, and deliberately targeting civilians is a war crime. One would think that they would be required to stop these activities before the borders of their future state are drawn! Israel is prepared to give up some territory for peace. But under no circumstances should she be required to negotiate under fire. If the Arabs cannot control their militias, then Israel will have to wage war with the militias first, until they are no longer capable of inflicting damage. If there are, somewhere, real moderates among the Palestinians who honestly desire to live alongside Israel in peace, then they will do their best to suppress the militant factions. And they will put an end to the vicious incitement that flows continuously from all Palestinian Arab factions. So far there is no evidence at all of this. To paraphrase kohelet, there is a time to talk and a time to fight. The Palestinian Arabs are telling us by their actions that now is not the time to negotiate. Germany is “reconsidering” its decision to sell Israel a sixth Dolphin class submarine, Yedioth Ahronoth reported on Wednesday. According to the report, the move was prompted by the tensions between German Chancellor Angela Merkel and Prime Minister Benjamin Netanyahu and Merkel’s frustration over the new housing plans approved in east Jerusalem. If I may elucidate the boldfaced phrase, Merkel means that Bibi refuses to submit to Palestinian preconditions for negotiations, which include a freeze on all construction outside the Green line, agreement on pre-1967 lines plus swaps as borders, and several other things. It is quite remarkable: the Arabs demand — and Europe supports them — that Israel agree to their desired outcome before starting to talk. Keep in mind, of course, that even if there were negotiations they could not possibly succeed, because the Palestinians have made it clear that they will never recognize Israel as the state of the Jewish people or give up the so-called ‘right’ of return. So the whole ‘negotiation’ ploy is just an attempt to squeeze concessions out of Israel. …this is what all the fuss is about: a few more apartments in an existing Jewish neighborhood where 40,000 Jews already live, located 100 yards from the Green Line, adjoining other Jewish neighborhoods and empty space. Is it not 100% certain that if Israel and the Palestinians were to reach an agreement to create a Palestinian state that Gilo would end up on the Israeli side of the border? Let me put it another way: what imaginable Israeli government would agree to a treaty that would not place Gilo in Israel? Palestinian Arab fantasies that the UN or the US is going to declare that everything outside the 1949 armistice line belongs to them so that they can move forward with their plan to expel the Jews are just that — fantasies. So why do the US and Europe indulge them? One reason is that both the EU and the US do not recognize any difference between ‘settlements’ and Jerusalem, and they want to make that point. I also think that they pick on Jerusalem because it is so important to Israelis and Jews — crush us here, and we’ll give up all resistance to walking down the road to the end of the Jewish state (perhaps they got this idea from the PLO’s Abbas Zaki). 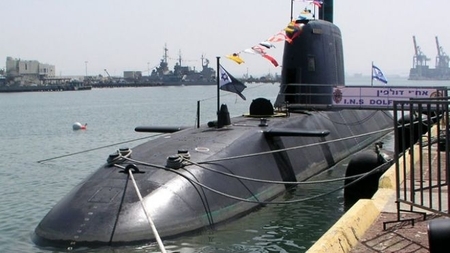 The Dolphin submarine is important because the Dolphins, said to be fitted with nuclear-warhead equipped cruise missiles, constitute an important part of Israel’s ‘second-strike’ capability. Iran (or any other nation) understands that even if it devastates Israel, massive retaliation is inevitable. Although this doesn’t entirely solve the problem of Iranian nuclear weapons — they can change the landscape of the region without being used — it is a powerful deterrent against the most horrible scenario. Nevertheless, Israel can probably live without this sub. It already has 3 Dolphin-class subs with two more under construction. In 2007, analyst Anthony Cordesman estimated that a second strike by Israel on Iran would result in 16 to 28 million dead in that country. It’s also been suggested that part or all of the problem lies with the price. The deal called for Germany to subsidize $190 million of the estimated $500-$700 million cost. If that’s so, then Merkel should admit that they can’t afford the deal and it can be renegotiated. But if the sticking point is Jerusalem, my guess is that Israel will tell Merkel that a submarine is not worth giving up sovereignty over part of its capital.